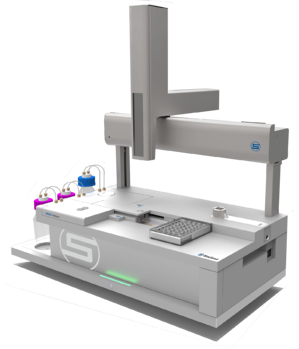 This application note explains how to measure and control the stability of proteins in solutions. 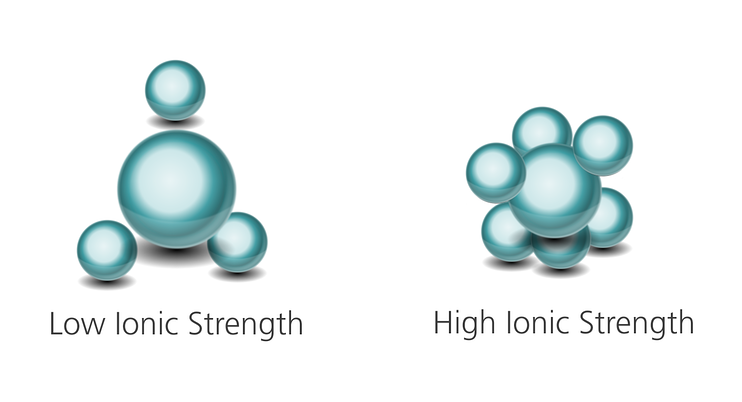 Ionic strength plays a critical role in the stability of a protein in solution. During formulation, neutral salts are often added to control the solution’s ionic strength (IS). It is well-documented that protein solubility is increased at low salt concentrations, a phenomenon known as “salting in”. In this case, additional salt ions are attracted to charged regions of the proteins, shielding individual protein molecules from intermolecular attractive forces. Intramolecularly, salt ions also shield regions of like charges from each other by reducing intramolecular repulsive forces. In low IS conditions, intramolecular repulsion can cause the chains of the protein to expand, which would lead to an increase in molecular size and decrease in protein stability.